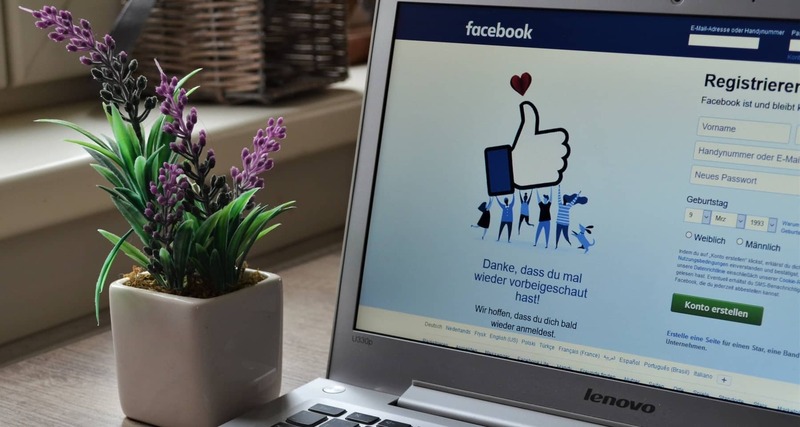 Did you know that according to Statista Facebook has 2.32 billion users as of 2018? That information is something that no serious business owner who wants leads, customers and sales – regardless of the industry or business size – should fail to take into account. Period. At this point, there likely will be two crucial questions that pops into every business owner’s mind. How does a small or medium-size business utilize Facebook to the platforms full advantage? Just how much does it cost to advertise on Facebook? A quick answer to that would be: it doesn’t usually take a lot compared to options like Google Ads for example. But still, there are certain factors that come into play such as the industry your business belongs to, size of your target audience, and the quality of your campaign. While Facebook ads might be more affordable than some other options, it is important to remember that competition is increasing in my opinion, which can cause the cost of advertising int his space to increase over time. The amount of money you have to spend on Facebook advertising, first and foremost, will depend on your industry. So in other words, certain industries have to pay more or less for Facebook advertising depending on how competitive your industry is. The more competitive the industry, basically, the steeper the rate of advertising on Facebook is. For instance, businesses in the entertainment scene usually pay the least to get advertised on Facebook. It doesn’t really come as a surprise, what with all the catchy music and faces that appeal to a very broad audience. So which industries tend to pay them more? Those who engage in providing professional services, such as lawyers, plastic surgeons, dentists, accountants – you get the drift. Since there are lots of people seeking the particular services they offer at any given time, they are in constant competition with one another. It’s a dog-eat-dog situation for them! Are you the owner of a local business like a beauty salon, floral shop or coffee house? Then advertising on Facebook will require you to shell out a little more. You may be wondering: shouldn’t a business whose target audience is limited to a single city or even a particular neighborhood be paying less to put up a Facebook campaign? Well, there’s a very good reason why a local business may have to pay more. Your business is not the only one who’s trying to get the attention of everyone in the locality, but so many other similar ventures as yours. So in other words, your local business is actually in a competitive industry. And what was discussed earlier? The more competitive the industry, the higher the Facebook advertising cost is. The good news is Facebook won’t waste your precious money on showing your advertisement to people who live hundreds of miles away from your business – those who are not even interested in what you have to offer. So in other words, you get to reach only your target audience, which can easily translate to new customers and more sales. Here’s a reason why big businesses may have an Advantage over local businesses. It’s simple really. Larger companies have brand recognition, larger budgets to spend and outbid you, and lots of resources to monitor and create their ads. So why try if you’re a small business? That is simple really. As a small business, you have your own unique advantages too. Such as being able to focus more closely on a smaller market, the ability to adapt and change quickly, as well a a number of others. You see, huge businesses like those in the entertainment scene invest a lot of their time and know-how in assessing and optimizing their advertisements on various social media platforms, including those on Facebook. One of the nicest things about advertising on Facebook is you, as a business owner, have the complete ability to set the price on a campaign. In other words, pricing on Facebook ads is highly flexible! Daily budget. Just like what the name says, your ads run throughout the day until the maximum budget set has been completely exhausted. This will go on day after day until the termination of the campaign. Lifetime budget. In this scenario, your campaign will continue to run until the maximum amount has been reached – either that or the date of the end of the ad has already arrived. Each one has its own pros. For instance, a daily budget gives you better control of how much money you spend on a day-to-day basis. On the other hand, according to the marketing pros at Facebook, a lifetime budget may entail cost fluctuations daily, but it takes advantages of Facebook’s algorithms that determine which time of the day your campaign has to be deployed for much better returns. Now comes one last important matter concerning Facebook advertising: how much money you are willing to invest to have your campaign started. In other words, it’s the bidding part. Actually, Facebook has it all figured out for a business owner – it makes a bid suggestion based upon certain factors such as the industry your business belongs to and your target audience. Basically, you can count on Facebook on this, saving you from all the hassle of trying to figure out the right bid. Cost per click or CPC. This refers to the cost for every click. Cost per Mille or CPM. This refers to the cost of every 1,000 views (impressions). Do take note that the amount of your bid has a direct impact on the performance of your campaign. Increasing your bid increases your ad’s chances of being seen by the target audience. On the other hand, lowering your bid does the complete opposite – it decreases your ad’s chances of being shown. But the good news is it could mean paying less for every click, allowing you to stretch your budget.